Cliff and Amaris' Life and Ministry Adventures! We are well into the second week of our Chronological Bible Core Course here in Cambridge England and all I can say is that we are blessed. 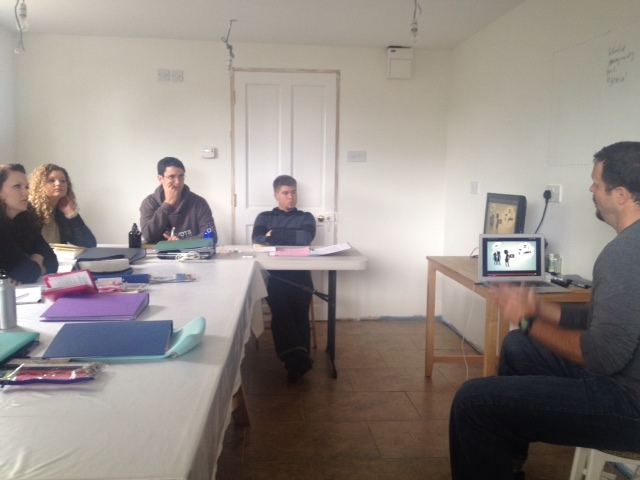 Our six trainees are picking up the study method quickly and are a really great bunch. We have made our way through Philemon and this week we are studying Ephesians. Last night we had a time around the wood burning stove with hot coco sharing testimonies. How encouraging it was! One trainee from the UK, who was raised an Atheist, shared how he simply had a thought, “If God is real, I would know” and within a few weeks began hearing God’s voice and gave his life to Christ. What an amazing God we serve! It is testimonies like this that remind Cliff and I why we do what we do as well as encourage us that God is able to do anything!!!! This weekend Youth With A Mission (YWAM) Cambridge will begin its first ever Discipleship Training School (DTS). God has been faithful to provide a house for them to stay and 6 trainees to attend their nine-month program. We are looking forward to partnering with this program for outreach into the city on the weekends. I have recently been reminded about time. So often I can become anxious and worried about life and things- ‘How will this work? ?’- wondering whether our vision is even possible. But in the end, I see God come through and blow my mind. Ultimately, in time, things will work out when God is fighting for you. We are so blessed and thankful for all God has done to bring us to England to Start this program! Thank you for your prayers an support. 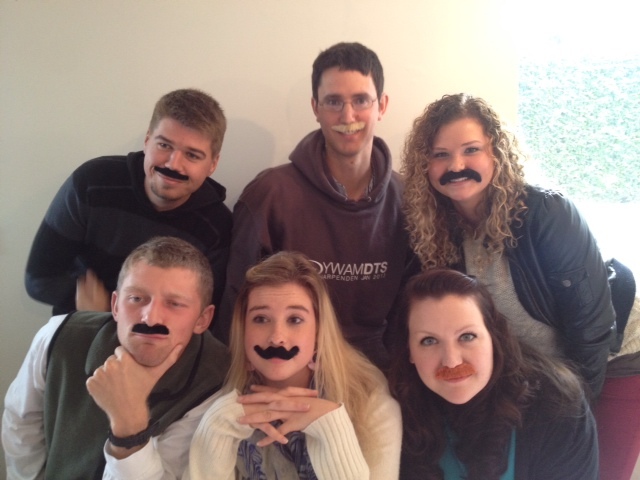 Our six Trainees with Moustashes (uk spelling)! 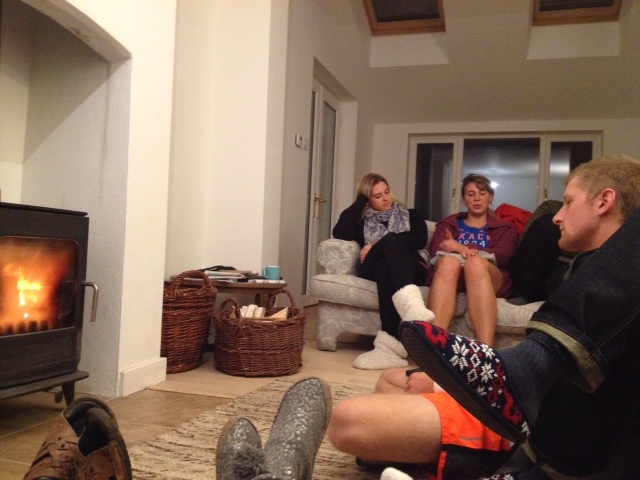 Testimony time in the Snug with the wood burning stove. Heather Wilson, our staff girl, shares her testimony as Annalie and Dalton listen. Cliff giving a lecture in our classroom. 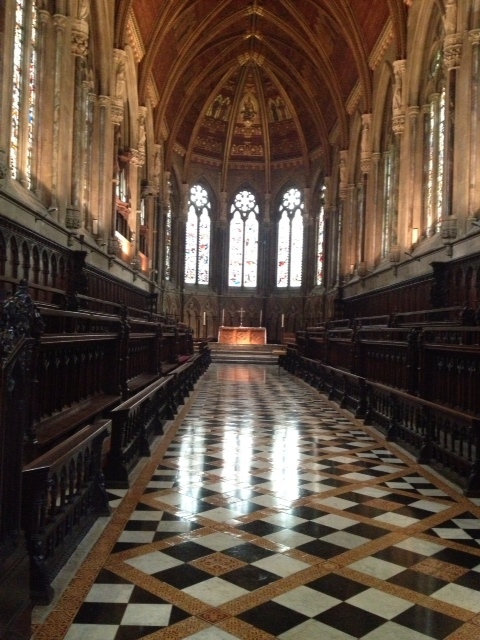 Prayer and Worship time with Cambridge’s House of Prayer. Every Friday we meet with other believers from Cambridge to join together in prayer for the city. Connie Taylor (the red head) is our YWAM Cambridge base leader. 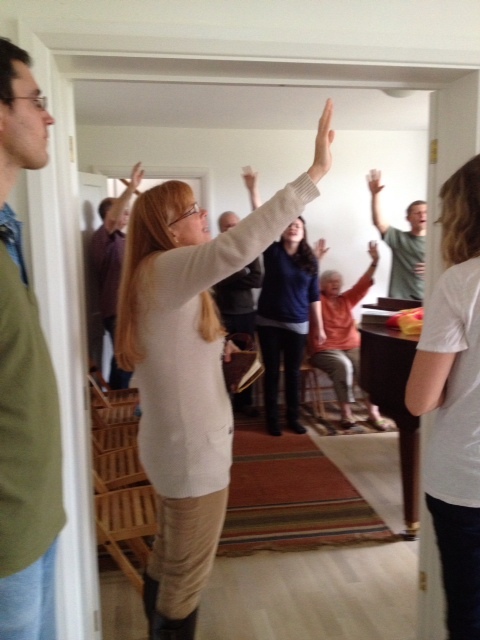 Praise God for her faithful dedication to get YWAM Cambridge off its feet! 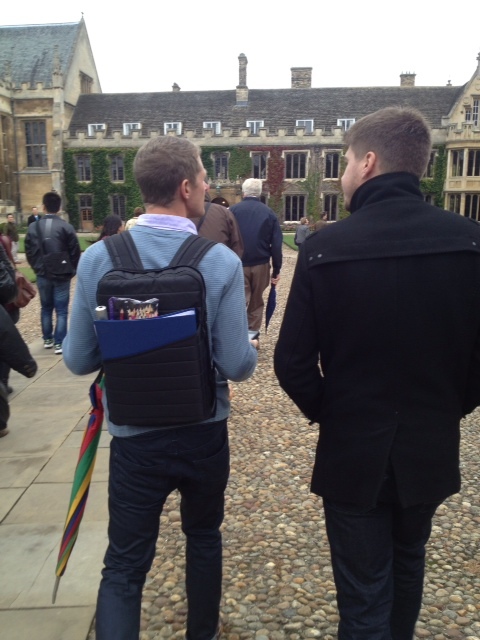 Dalton and Thomas on a tour of Cambridge with Christian Heritage. Notice the colored pencils in Dalton’s backpack, the sign of a good bible student ready to observe his Bible! Sunday we joined this tour to give the trainees a better understanding of the Christian significance of the city. Each Saturday and Sunday the trainees will volunteer with Christian Heritage, a ministry focused on preserving and telling the Christian history of the city! This post would not be complete without a picture of Cliff with a cow. 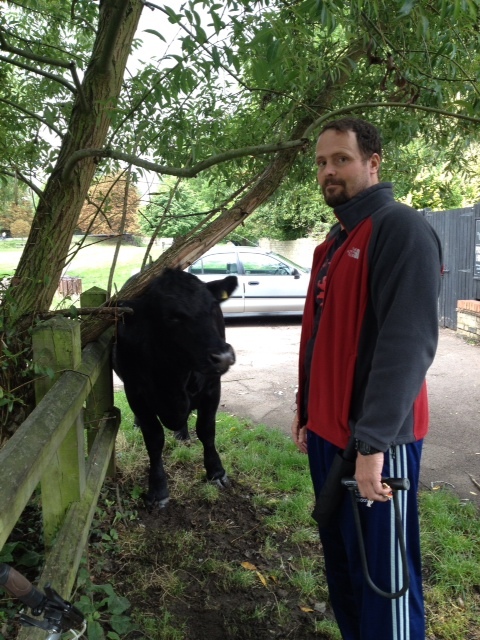 Cows roam freely in many of the meadows around Cambridge. They are like natural lawn mowers, but watch out for what they leave behind! I love it! Keep it up guys! I’m excited for your students, and for you guys! Cows and Cobblestone! The Jonah Grace Edition: Fall 2014, L.A.